Stubby to Buddy, for colorful puppies! Solid with white markings and spotted, golds, blacks, merles, roans. Puppies will be 46.625% actual Golden Retriever, and expected to mature around 25 to 35 pounds. Due to be born around mid April, 2019. Deposits accepted. Star to Buddy, for colorful puppies. 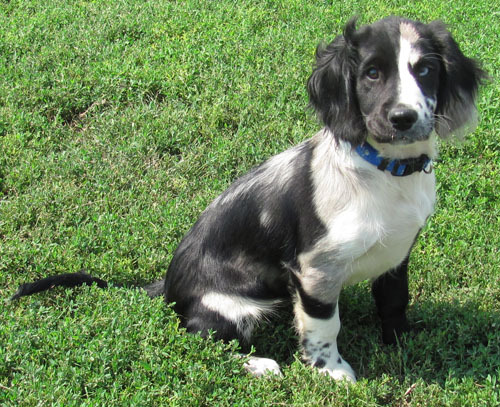 Most puppies will have white markings, but not be spotted. 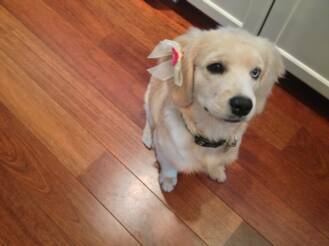 Puppies will be 56.25% Golden Retriever, and mature around 35 to 45 pounds. Due to be born around late April Deposits accepted. 2 deposits so far. Sparky to Buddy, for colorful puppies. Merles, creams, blacks, golds, all possible, in solid, parti, and roan patterns. 53.125% actual Golden Retriever. Blue eyes possible. Expected to mature around 30 to 50 pounds? Due to be born around late April to early May, 2019. Deposits accepted. Tilly to Jack, for adorable, very colorful Miniature Saint Berdoodles. Very low to no shedidng, and expected to mature from 20 to 30 pounds. Due to be born around late April/early May of 2019? Deposits accepted. Rainy to Sammy, for all cream/white colored puppies. May or may not have blue eyes? Expected to mature around 30 to 45 pounds? 78.125% Actual Golden Retriever. Due to be born around early to mid May, 2019. Deposits accepted. 2 deposits so far. Badger to Red, for chocolates, tan marked puppies, blacks, golds, reds.. Due to be born around mid June 2019. May keep a female from this litter? Deposits accepted. Lucy to Duncan, for mostly red colored puppies, with some golds possible. Due to be born around mid June 2019. Deposits accepted. 1 deposit so far. Liberty to Radar, for adorable Miniature Saint Bernard puppies! We will be keeping any females, if there is any? All males will be available. We can accept preborn deposits on our planned litters. However, if a litter does not happen, your deposit will then go to another litter. Due dates are only estimates. Puppies must be at least 8 weeks old before they can leave. Planned Litters for 2019! Preborn deposits are accepted. Blondie to Duncan, for light gold to red puppies! Puppies will be 65.625% actual Golden Retriever, and expected to mature right around 30 to 35 pounds. Tinker to Buddy for all parti puppies, many should roan, and be cream, gold, red, black, or blue merles. 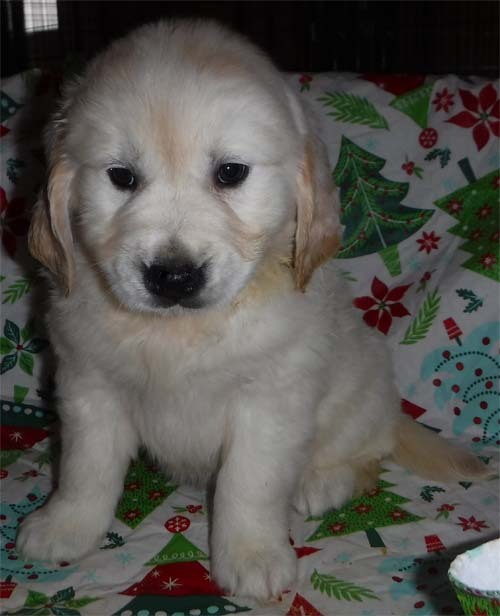 Indy to Sammy, for cream, gold, blue merle, and black puppies, which will be high percentage Golden Retriever, 78.125%, but still fairly small! Expecting a litter to be born around late 2019. With our males, Red is the very smallest, with Duncan being the next smallest. Buddy is a nice, medium size, but he is our largest Dakota Sport Retriever breeding male at this time. Sammy being a purebred Golden Retriever is our largest male. However, Sammy is very small for a golden! With our females, the very smallest are Stubby, Tinker, Chloe, Josie, Massy, Isabelle, Rainy, and Sparky. Dixie, Blue Girl, Candy, and Sweet Pea are also smaller girls! Star and Sophie are next smallest. Lily is pretty small as well. Then Dusty, Lena, Lucy, and Badger are the largest females. With the Mini Saints, Jack, being a Shihpoo, is our very smallest dog. Radar is a nice size, close to the same size as Buddy? Motto, being a Mini Saint Bernard, but still, high percentage actual Saint Bernard, is our largest dog of all, being slightly larger then Sammy. However, Sammy is a lot smaller then your average Golden Retriever! With the female Mini Saints, Tilly is the smallest, just slightly larger then Jack, with Bailey very close to the same height! However, Bailey is stockier. Liberty is only slightly taller then Bailey, but again, Liberty is even stockier yet! All parent dogs are Registered Dakota Sport Retrievers. All puppies will also be registered! Puppies can leave 8 weeks or later, after they are born. Deposits are choosen in the order that they are received, even if they decide to choose from a different litter then they originally put a deposit down on. Deposits are not refundable, but are transferrable to another litter or puppy. Our son Baron's male, Buddy, is the only male Sport Retriever that is a Merle. A Merle can never be bred to another merle. (For a healthy puppy, it can only have one merle gene..) Buddy will never be bred to a merle female, or a hidden merle female. None of our male dogs are merles. Only Buddy, who belongs to Baron. Our only obvious merle females are Massy, Lena, Blue Girl, and Indy. Our hidden Merle females are: Sophie, Misty, Josie, Sweetpea, Dixie, Rainy, and Blondie. As much as I would like blue eyed merle/ or hidden merle Sports, all of our girls do not have blue eyes. Rainy does have one blue eye and one brown eye. Blue Girl does have partial blue eyes. 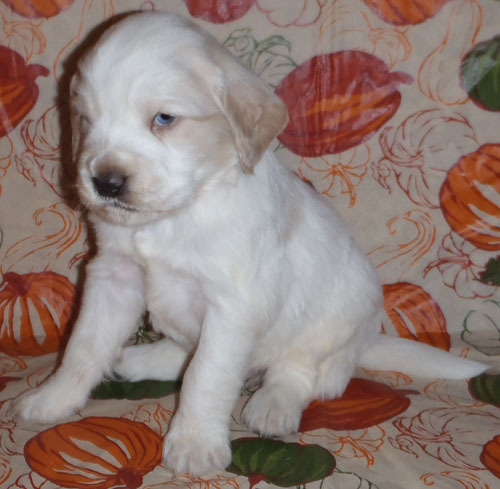 Rarely we have sold pups with one or two, or partial blue eyes. However, it is not very common. Mia, our son, Gage's spayed female blue merle Sport Retriever, with one blue eye and one brown eye. Toby, a blue eyed male light gold and white parti pup out of Pebbles and Blue. Lily, a female cream hidden merle Sport Retriever, with one blue eye and one brown eye, out of Pebbles and Tonka. 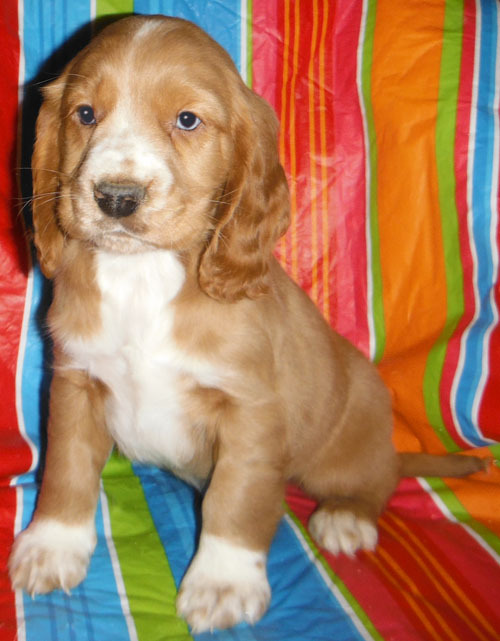 "Ethan", a red with white markings male out of Ellie & Pepper, with two blue eyes!